"We're really impressed with how EnergySavvy is innovating to help utilities transform the customer experience while simultaneously lowering costs,” said Dennis Odell of GXP Investments. 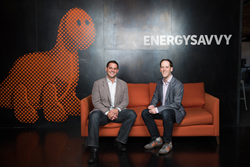 EnergySavvy, a cloud software company that helps utilities transform their customer experience and operations, announced today its fifth generation of products to meet the expectations of modern energy customers. EnergySavvy’s newly expanded solutions enable customer experience transformation for utilities through data-driven customer insights, engagement, and operations powered by the cloud. Supporting this expansion, the company also announces a Series D round of $14 million in equity financing. “In today's highly personalized, multi-screen world, utilities have increased pressure to upgrade their customer experience and create new customer value, all while managing costs and contending with complex and siloed legacy IT systems. With the expansion of our cloud platform in our fifth generation release, we're enabling rapid breakthrough solutions for customer experience and operations and establishing ourselves as the independent industry leader,” said CEO Aaron Goldfeder. Customer Insights enables utilities to create a unique and personalized experience for all their customers, not just those already actively engaged. New products Next Best Action and Targeting put the right message in front of every customer in every interaction. Customer Engagement now includes a new customer self-service online enrollment center, an online assessment with multi-program engagement, and a refreshed format for the direct mail assessment that boasts a response rate 10 times higher than industry average. Customer Operations has been expanded to continuously monitor trade-ally performance, optimize onsite inspections, predict program performance, and support evaluation and planning professionals. Customer Cloud, which powers all EnergySavvy products, enables flexible and rapid integration with a myriad of systems and provides a holistic view of all customer data. "Utilities have to build great relationships with their customers in order to thrive. We're really impressed with how EnergySavvy is innovating to help utilities transform the customer experience while simultaneously lowering costs,” said Dennis Odell of GXP Investments. After adding five utility customers in North America this year, including DTE Energy and OG&E, EnergySavvy now serves nearly 40 utilities and state energy programs.